Each one MJ return license costs $6.99, tax included. You can multiply the number of MJ returns by $6.99 to get the total cost. You can make a payment using last option on this page. Windows (and for Linux Wine) 17MB taxexp17_special.exe NetFile version, for yourself, family and friends. taxexp17_efile_special.exe EFile version, you have CRA EFiler ID and password. Mac (Intel CPU only) 70MB Install and run from Applications folder after download, please contact us for Mac version Unzip, no install needed, then run myTaxExpress. 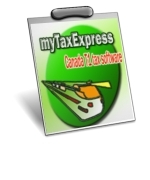 For Mac OS Sierra, please read this link after you download myTaxExpress software.